nonkeen’s history has always been shaped by the mysterious convergence of coincidence with the band’s steady exploration of as yet unheard sounds. 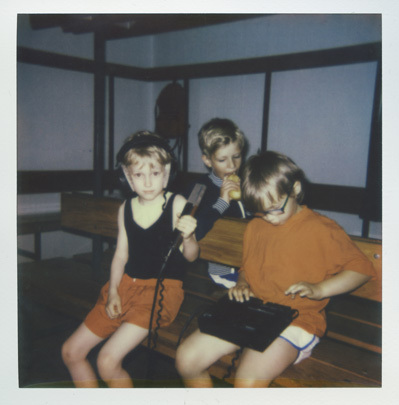 After all, ever since Frederic Gmeiner, Nils Frahm and Sepp Singwald discovered, in their childhood days, a shared passion for rudimentary tape machines, they’ve refused to shy away from letting their music respond to the erratic nature of their recording process. 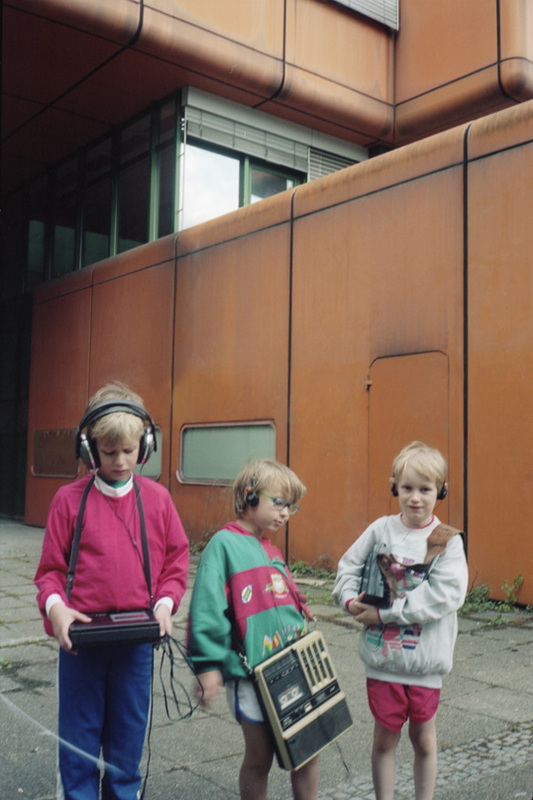 What started as a playground radio show in a suburb of Hamburg, where Gmeiner and Frahm experimented with their cassette players and the noises of their daily environment, soon developed into a long-lasting friendship, and eventually led to the foundation of nonkeen. Finding time when all three could gather together to overdub or mix wasn’t always easy, but finally Frahm, Gmeiner and Singwald realised they had reached a stage where nothing more needed to be altered. There were other factors too, that, alongside nonkeen and the band’s most loyal member, Chance, contributed to the recordings: friends like Andrea Belfi, Peter Broderick and Martyn Heyne, who added their musical character during the overdubbing phase. Chance, however, had one last part to play when it united Frahm and Renaat Vandepapeliere at a gathering in Mannheim. Before long, the ink had dried on an R&S recording contract. nonkeen felt ready to leave their basement again. The band now had to select pieces that would ultimately represent their sound. Choosing only their favourite tracks turned out to be a challenging endeavour: there were still too many for a single album. The only solution, therefore – according to the band – was to make several albums, but this didn’t make things much easier: the next question was which album to release. Refusing to let such matters get the better of them, they agreed to flip a coin: let Chance decide and the band would follow, with the winning album known as The Gamble. But the warm reception that followed its release flattered Gmeiner, Frahm and Singwald, encouraging them to make available the collection that had first lost the toss: The Oddments Of The Gamble. After all, everything – just like everyone – deserves a second chance. The video for ‘chasing god through palmyra’ from nonkeen’s album ‘the gamble’ portrays the close friendship between a man and a machine bonded by their escape fantasies as they circle together on an endless loop along the tracks of life inside a repetitive and psychedelic world. Drafted, filmed and edited by FELD in close collaboration with nonkeen and the mectub railway club Berlin. nonkeen’s first two albums were compiled from tapes engineered by Nils Frahm – when he remembered to hit ‘Record’, and when the RCA cables weren’t broken again – over the course of a decade of performances, in a number of modest rehearsal spaces, by him and his childhood friends, Frederic Gmeiner and Sebastian Singwald. Gmeiner and Frahm attended the same primary school in a rural suburb of Hamburg, and their mutual interest in sound recording brought them together to form the basis of a long-lasting friendship. In their second year of school, they began producing their own radio show, which featured incidental sounds from the school ground, the voices of their teachers, and recordings of themselves practising their instruments, all recorded on rudimentary tape machines for kids. In the summer of 1989, East German schoolboy Sebastian Singwald spent two weeks at Frahm and Gmeiner’s school during a sports exchange with the DDR Youth Athletics team. He arrived with his own shabby tape recorder dangling around his neck, and, intrigued by the exotic DDR technology, Frahm and Gmeiner bonded with Singwald as they discussed mechanics and compared devices. After Singwald returned to Karlshorst, Berlin, he became their DDR based »Korrespondent für körperliche Betätigung«, sending back reports of his life at school and recordings of sporting events. Encouraged by the radio show’s growing following of students, Frahm and Gmeiner started focussing on the musical interludes between their reports of school life. They played, covered and reworked an eclectic mix of children’s folk songs, pop music they’d heard on the radio, classical compositions and improvised pieces, recycling whatever sounds or music came their way. Singwald would contribute recordings of his bass to the compositions. 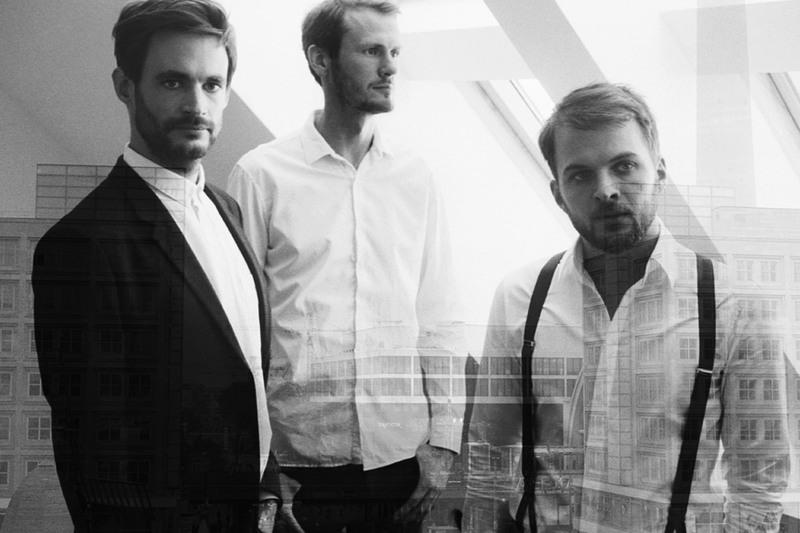 After the Berlin Wall came down, Gmeiner and Frahm were eager to visit Singwald to play together as a band. Singwald’s uncle invited them to perform their original material on his fairground in Plänterwald over the summer holidays. Moved by the notion of a reunified Germany, their parents supported their friendship and their long stays in East Berlin. 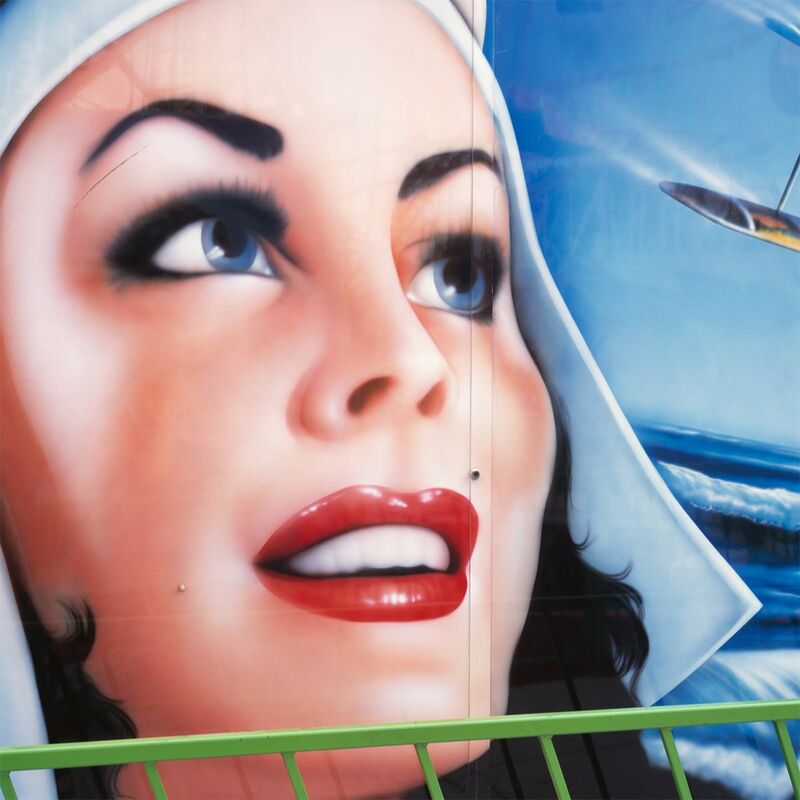 The band continued to perform on the fairground for several weeks each summer throughout their childhood years. But in the summer of 1997, when all three members had turned 15, a disaster would halt their musical careers and end their collaboration: their performance was abruptly cut short when the chained seats of a nearby carousel broke off and two of its passengers smashed into the stage. One victim landed feet first in the bass drum, and another crashed into Singwald’s bass amp. As the injured were hauled into an ambulance, Gmeiner, Frahm and Singwald left their broken instruments behind, swore off music collectively and went their separate ways. Well into their twenties, and now living in Berlin, Gmeiner, Frahm and Singwald resolved at a drunken reunion that they wouldn’t let the past rule their lives and cast a shadow over their band any longer. Slowly and cautiously, they began to play music again, meeting privately in Singwald’s basement for long experimental sessions, which they recorded on their tape machines, just like in the old days. They listened to their childhood recordings nostalgically, adding parts to some and sampling others. After eight years, an album had grown organically from this process. The Gamble’s songs were originally captured by four track tape recorders connected to even more primitive vocal microphones, though sometimes Frahm would override a good take with a bad one just because he was confused. The band refused to practise songs, or record multiple takes, in order to reshape or improve them, meaning only first takes were acceptable. These, furthermore, were dependent upon them actually making it to tape, so chance became a band member. From time to time, the tapes would be taken to Frahm’s studio for playback, where the band isolated their favourite passages and bounced them down to computer, allowing them to undertake further work, such as processing or overdubbing on certain sections. The tapes were then recycled for fresh sessions. Listening back to music recorded years earlier helped the band take their sound in a more distinct direction. 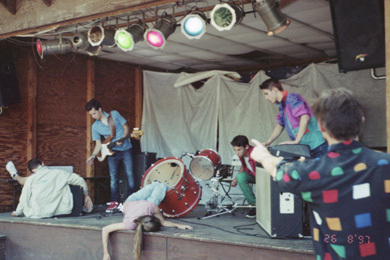 Starting out as an improvisational music collective, they’d taken their work increasingly seriously, though they always retained their minimalistic recording setup, and chance continued to play its role due to the unreliability of cassette tape and the multiple, cheap recording devices they employed. No one knew how things would sound, just as a picture taken to film maintains its secrets until it’s developed: sometimes ‘double-exposures” occurred, or, by chance, a tape would play back in reverse mode. Devices whose motors were pitched up and down also brought other fantastic sounds to life – sounds that were previously unheard, or unthinkable, and always unexpected. Such inescapable, embedded mishaps were as likely to complete a song as to destroy it entirely. There were other factors, too, that, alongside Frahm, Gmeiner, Singwald and chance, contributed to the recordings: friends like Andrea Belfi, who added their musical character during the overdubbing phase, and locations like the apartment – to whose neighbours the band still owe an apology – where they holidayed in Copenhagen. Finding time when all three could gather together to overdub or mix wasn’t always easy, but finally Frahm, Gmeiner and Singwald realised they had reached a stage where nothing more needed to be altered. Chance, however, had one last part to play when it united Frahm and Renaat Vandepapeliere at a gathering in Mannheim. Before long, the ink had dried on an R&S recording contract. nonkeen felt ready to leave their basement again. © 2016 RS Records. All rights reserved. ℗ 2016 nonkeen under exclusive licence to Manners McDade Music Publishing Ltd. All rights reserved.